INT'L Programs - RELIEF, INC.
Sponsors agricutlture students at the University of Liberia to become volunteers and work with farmers and/or landowners. Relief, Inc. provides tools and seeds to farmers for sustainability. Teaching Liberian women self-sufficiency. This scholarship helps women learn a trade, to own their own businesses or at least become employed. Relief, Inc. will build a school to create jobs for these women, then they may train other women that will come into the project. Relief, Inc.’s– Women of Worth (WOW ) program is an important training program that opens the door of opportunity to the unemployed to acquire crucial life skills, become gainfully employed or to start their own businesses. The career choices and options in Liberia, West Africa are in desperate need of enhancement. This project helps women become self sufficient which is one of Relief, Inc.’s primary focuses. Relief, Inc. will eventually build a school to support the WOW program and other educational projects. Living on less than a dollar a day, approximately one million Liberian children are all too familiar with extreme poverty. It has robbed them of hope, and threatens to steal their future. Fortunately, through the active participation, and generosity of our sponsors, Relief Inc. is providing opportunities for children in desperate need in Liberia. Sponsors play a fundamental part of our program, helping children overcome the mind-set of poverty. Join Relief Inc., and individuals all over the world, as we seek to bring love and compassion to the world’s poorest people. As a KIS sponsor, you can help these children experience the fullness of life, reach their potential, and help save them from a life of poverty. Will you sponsor a child now? I strongly believe, that through the weapons of LOVE, AND COMPASSION, we will combat war, and terrorism. By reaching out, we can help families that have been devastated by 14 ½ years of war. Q: What is KIS sponsorship? Q: As a sponsor, what will I receive throughout the year? The goal of Relief Inc.’s sponsorship is to equip your child to step boldly into the future. When you make either a onetime gift, or a recurring monthly gift, your contributions are pooled with that of other sponsors of children in the community where your child lives. Your contribution goes directly to taking care of the child by providing food, water, shelter, clothing, medical supplies (when necessary), school fees, books, and the basic necessities of life. This means that your sponsorship may last for many years. When your child, and his, or her community reach this goal, Relief Inc. can move on to serve another community in need. When this happens, you’ll be given the opportunity to sponsor a different child in a new community. You will be provided an annual report of your child’s progress. ​When you sign up to become a KIS sponsor, you join a family of “life givers” around the world, who share your commitment to change the world, one child at a time. Q: Why sponsor a KID through Relief Inc.? Relief Inc.’s KIS sponsorship program creates real, lasting change for children, and their communities. Our competent staff extends your compassion to all people, as they help build healthy communities for children in Liberia’s most impoverished places. Relief Inc. partners with sponsored children’s communities over the long term, to address critical needs, and help communities become self-sustaining. Relief Inc. is a 501 (c) (3) non-profit, non-governmental (NGO) organization founded with the aim of facilitating meaningful, and sustainable development in Liberia. It is headquartered in Modesto, CA, USA. Relief Inc. was birthed out of a philanthropic vision, that human resource improvements are the key to humanizing the nation-building capacity of Liberia. Through training, scholarship, investment, and partnerships, Relief Inc. is committed to developing Liberia’s impoverished people through the promotion of transformational education, resource development, investment training, and strategic empowerment. Give a one-time gift to help Liberia’s poorest children, and families. Your charitable donation to Relief Inc.’s General Fund allows us to respond quickly to those suffering from the effects of war, famine, poverty, and neglect. Click here to make a secure, tax-deductible donation of $50, $100, $250, or $500. Any amount that you can give will make a difference. Hope On Wheels Deliver food, clothing, education and medical supplies to people in war-torn Liberia. Recruit volunteer doctors and nurses to go into Liberia to educate and medicate girls and women about STD (Sexually Transmitted Diseases) prevention. STD’s are destroying the future of Liberia. 45 out of 50 women are STD positive. The age group that is being affected is 50% of the Liberian population. Our goal is the reduction of STD’s. Collect school books, and ship to Liberia by 2018, to reduce the student to textbook ratios from the present ratio of 27 students per book to 9 students per book in public primary, and secondary schools, respectively. Relief Inc’s. Ship project was developed because of the lack of employment opportunities and resulting in the increased amount of Poverty in Liberia, West Africa after the resent fourteen year civil war ended. Relief Inc ship’s food, medical supplies, clothing, books and other supplies for survival. Our ultimate goal is to help the people to become self -sufficient. 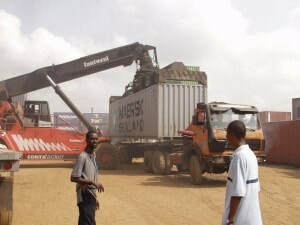 Relief Inc. is in need of shipping partners that will pledge monthly towards shipping or the actual shipping container and transportation to Liberia, West Africa. Do you have a friend or colleague that may be able to help as well? We have many convenient ways to contribute. Auto pay directly to Relief Shipping Account, PayPal, mail your check to Relief, Inc.
$25 a month comes to only .81¢ a day, less than the cost of a cup of coffee. Larger investments are greatly appreciated. We only need 40 investors per year to donate $25 per month to cover the cost of shipping a container to Liberia each year. Promote employment and sustainability in Liberia. Map_LiberiaAn annual certificate that shows your membership in this club. Certificate is mailed after nine months of membership or receipt of the full annual investment. A special monthly report from the field that shows the impact of your investment, changing the lives of the people of Liberia. The fulfillment that comes from knowing that you have offered a hand up and expanded opportunities for the impoverished people. You can make your investment monthly, quarterly or yearly. First sign up online to make your initial investment using the Online Donation Form: Be sure to specify $25 Shipping Investment Club. Print out the membership form and mail it with your first investment. You can also set up a monthly auto pay through your bank, use personal check or money order.